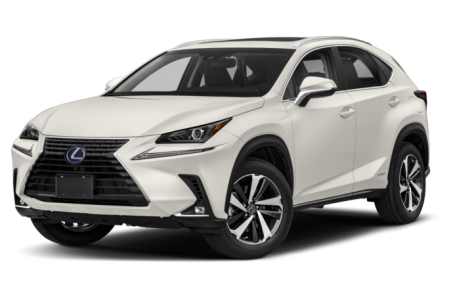 The 2019 Lexus NX 300h is a hybrid variant of the compact NX Series SUV. It is powered by a combined 194-hp, 2.5-liter four-cylinder engine and an electric motor mated to an electronically controlled continuously variable transmission and all-wheel drive. Fuel economy for the NX 300h is an EPA-estimated rating of 33/30 mpg city highway. Cargo capacity is 25.5 cubic feet.